This year it will be an 11th celebration on the streets of Warsaw that will be joined by diverse groups and activists devoted to the promotion of equality, freedom and tolerance. How does this year’s Parade differ from previous events? The difference relies not only on the new members of the Organizing Committee but also on unique openness and inclusiveness. Everybody is welcome! This year you don’t need to register ahead. Just come on 2 June and join us on the streets of Warsaw! For the first time, the Equality Parade took place in 2001. 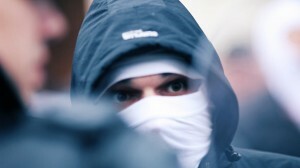 The initiator of the event was famous Polish activist Szymon Niemiec. 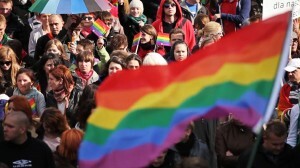 In 2004 and 2005, the Equality Parade was banned by Lech Kaczyński, the President of Warsaw at that time. In 2004, an alternative mass manifestation of freedom took place in front of the city hall and in 2005 the Parade passed down the streets of the city inspite of legal ban. 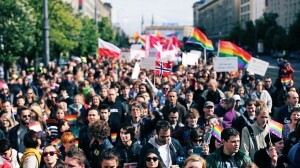 In 2010, Warsaw hosted Europride for the first time ever and the Equality Parade was the important part of that event.